Note from racketboy: Special thanks goes to andymol21 for putting the majority of this guide together! Little tidbits were also contributed by a number of other racketboy forum members on this thread. The RetroGaming 101 series is aimed at gamers who are just starting out in the classic gaming scene or are curious about an older console that they don’t know much about yet. 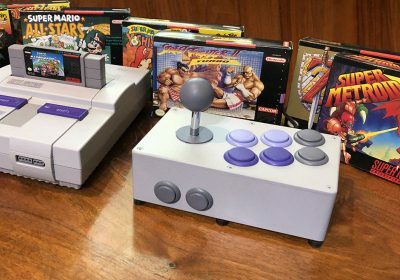 Nintendo took their sweet time in bringing a console to match the Saturn, Playstation and the other 3D “powerhouses” that were popping up in the console market. And of course, back in the later half of the 1990’s many of us made fun of Nintendo as they stuck with the cartridge format instead of joining in on the CD-ROM bandwagon and the multimedia revolution that came with it. However, for all it’s limitations, it is interesting to see some of the things that were capable on the N64 and its aging format. 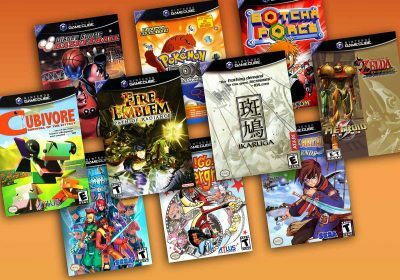 There are also a number of great games that only Nintendo and Rareware could provide that you just won’t find anywhere else. The N64 was Nintendo’s third home console. It was sold between 1996 and 2001, when the GameCube was released in Japan. 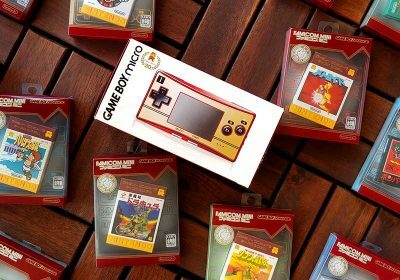 Codenamed “Project Reality, and originally titled the Nintendo Ultra Famicom, it changed its name twice before release. 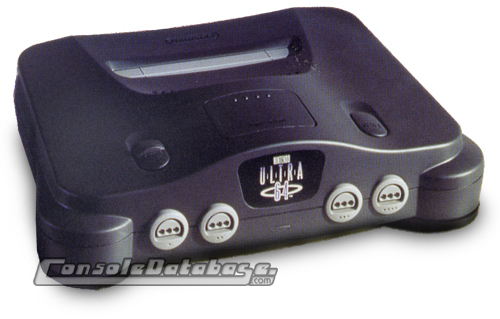 First to the Ultra 64, then, late in development, to simply the Nintendo 64. (The Ultra 64 logo can still be seen in the start up screen of Crusin’ USA) You can also see some prototype images of the Ultra 64 console and controllers. It was Nintendo’s last home console to feature cartridges as its main method of storage, before switching to Mini DVDs for the GC. The N64 was one of the first consoles to be specifically made to render 3D polygons, the launch title Super Mario 64 was one of the first 3D platformers, and is still one of the most successful to date. The three pronged controller design was revolutionary in that it featured a fully analogue control stick. This was deemed necessary by Shigeru Miyamoto to give precise control over the movement of characters in a 3D world. Again, debate continues on which came 1st, the Saturn 3D controller or the N64 controller, although it is known that both the Atari 5200 and Vectrex both had full analogue controllers well before either the Saturn or N64. 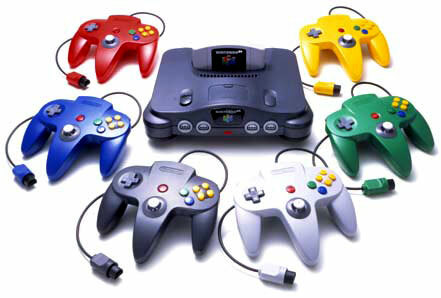 The N64 also incorporated 4 controller ports on the front of the console, allowing 4 players to take part in multiplayer games. The console was updated with Apple iMac inspired see through colored plastic named the “Funtastic Series” in 2000. Nintendo came in second place in the “console race” of the 5th generation, being beaten by Sony’s massively popular Playstation, but outselling the Sega Saturn by a considerable margin. The N64’s controller also featured a slot on the back where a memory card, or, for the first time, a rumble pack could be placed. The N64 was the power house of the 5th generation. With its 64-bit processor and fast loading cartridge system, it was able to display smooth textures very quickly. The controller of the N64 was well suited to the 3D games that dominated the late 90s. Whereas both the Saturn and Playstation had to improve on their initial designs, the N64’s controller was designed with that type of gaming in mind. The cartridge design meant that Nintendo had very little issues with piracy, compared to its CD based competitors. It also made for very durable games, which last much longer than CD counterparts. In the later years of the consoles life span, a ram upgrade was developed to increase the capabilities of the console, though it only worked in some games. The games that supported it were noticeably improved, and this helped to keep the console fresh as it started to age. The main weakness of the N64 was its cartridge based games. The maximum amount of data that could be stored was 64MB, compared to the 700MB of CD based systems. Being limited to cartridges meant that the long CGI movies, high quality sound and even high resolution textures were not possible on the N64. This problem was helped by better compression techniques later in the consoles life, but compared to the Playstation, it was very underwhelming. The overall game library was relatively small at about 300 in North America and 400 in Japan. Very few JRPGs and traditional fighters were released for the console. Square Enix had been on board to continue their Final Fantasy series with Final Fantasy VII on the N64, but left for Sony mainly due to their higher capacity CD based system (and also probably because of a large sum of money). If FF VII had been released on the N64, the story of would be very different. The three pronged controller was confusing for new users to understand. It was designed like that in case Nintendo’s bet on 3D gaming failed, and they needed a way to resort to a more traditional form of 2D control. Unfortunately, this meant that new users often didn’t know how to hold the controller, putting them off before they had even started. 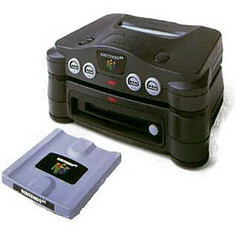 Because of the high cost of cartridge development, several companies were unwilling to release their games on the N64. This meant that Nintendo relied more on the 1st and 2nd party titles, rather than the 3rd party titles that populated the Playstation. The N64 had the weakest GPU of the generation, but had an edge in graphics thanks to its high CPU speed. It also has one of the worst shaped cartridge designs for organization. The carts feature a curved top with no end label. This leads to a lot of digging around to find the game you are looking for unless you store them all in the fragile cardboard boxes. The Best N64 Games The Still Matter Today – Since the N64 had such a focus on 3D gaming when the technology was still in its infancy, the games that still hold up especially well today are not necessarily the same ones that garnered all the initial attention for the N64. The Cheapest N64 Games Worth Your Time – If you want to build up a quality N64 library with the least amount of cash, check out this guide. The Best Undiscovered N64 Games – There are plenty of good N64 games that most people haven’t tried yet. Check these games out to broaden your horizons. 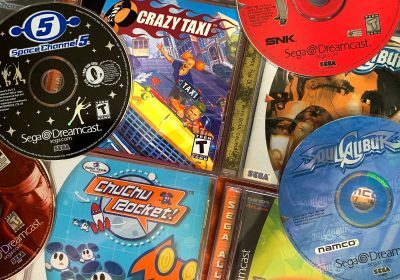 The Rarest & Most Valuable N64 Games – To make your N64 collection the most respected in the world, you need to survey the possibilities here. Because of the cartridge design, importing N64 games requires removing the dust cover mechanism from your machine. You’ll just have to keep a cartridge in there a lot of the time to keep dust out of the cart slot. There are adapters that allow most games to be played on NTSC and PAL systems, but there are several games that do not work with these adapters, and often these are the most desirable games. You can also mod your N64 to play import cartridges. It’s a relatively easy and inexpensive modification to make. A little known disk drive system that was released in very small numbers in Japan in 1999. The unit plugs into the bottom of the N64 console and allows large magnetic disks, similar to Zip Drives, to be used. The 64DD also allowed users to access the internet, through Nintendo’s RANDnet system, and had a fully functioning keyboard and mouse designed for it. It was a commercial failure, mainly due to Nintendo’s reluctance to release it after such long delays (it was announced in 1995), and therefore it’s lack of support. Only 9 games were made for the system, with many of the planned titles being released as standard N64 cartridges. Controllers – This may be an obvious accessory, but considering how many games take advantage of four players, you should seriously consider stocking up on them. The Controller Pak: Nintendo’s version of the memory card, it plugged straight into the controller in a port on the back. The official Nintendo card is 256KB, split up into 123 “pages”. Although most games featured in cart saves, some games or game features (such as the ghosts in Mario Kart 64) required more data to be saved than the cart could hold. 3rd party cards could be hold much more data, and often came with a rumble motor as well. However, their quality and reliability vary greatly. The Rumble Pak: Released in April 1997 with Star Fox 64, the Rumble Pak used a small motor to give vibrating feedback of what was happening within the game. It used 2 AAA batteries to power the motor and clipped into the same slot used by the memory card in the back of the controller, meaning that both could not be used at the same time. Transfer Pak: Another device that plugged into the back of the N64 controller, the Transfer Pak allowed Gameboy games to be plugged into the N64. This was mainly used in the Pokémon Stadium games, where the players Pokémon from his Gameboy game could be transferred over to battle within the game. The device could not be used to play all Gameboy games on the television, only the Pokémon games worked when used in conjunction with Pokémon Stadium. Another use of the transfer pack that was removed before its release was the ability to take pictures of you face with the Gameboy Camera and superimpose them onto characters in Perfect Dark. However, this was canned as it was thought too violent to kill digital representations of real people. The Expansion Pak: Originally developed to allow the 64DD to work with the N64, the Expansion Pak plugged into the expansion port on the front of the console, replacing the Jumper Pak that was in there. 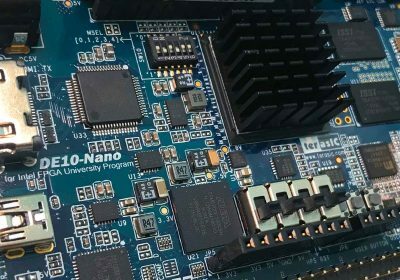 It expanded the internal RAM of the N64 from 4MB to 8MB, allowing more graphically complex games to be developed for the system. A lot of games support the Expansion Pak and have “Hi-Res” modes when it is inserted. However, there are a few games, such as Zelda: Majora’s Mask and Perfect Dark, that require the Expansion Pak to be fully playable (Perfect Dark only allows a stripped down multiplayer game to be played without the Pak, whereas Majora’s Mask shows an error on booting). VRU (Voice Recognition Unit): Used in only two games, Hey You Pikachu! and Densha De Go 64 (a Japanese train simulator), this giant yellow microphone plugs into the back of the controller, with a wire attaching it to the 4th player controller port, and allows you to communicate with the action onscreen via verbal commands. In Hey You Pikachu! it is a vital part of the game and is used to converse with Pikachu, giving him commands and answering simple questions. In Densha De Go 64, you use it to announce the station names to your passengers, although this is an optional part of the game. Emulation of the N64 is very advanced on PCs. There are really two options that both work 100% for most games: Project 64 and 1964. It is mostly down to personal preference which one you choose, although some games work better on one than the other. On the PC, you can also use texture packs with the emulator to make the games look even better than the real thing. For Mac OSX, racketboy forum member, Niode said he tried sixty force around v0.5 and it wasn’t brilliant. It was fast on his Macbook Pro with a Core 2 Duo 2.33GHz. Shadows and skyboxes were glitchy. Quite a few games I tried had lots of graphical glitches. Since we are still only on 0.8, he doesn’t expect it to be much better. One of the trickiest aspects of N64 emulation is the controller. Since most USB controllers are nothing like an N64 controller, you’ll probably want to find a USB adapter for the real thing. 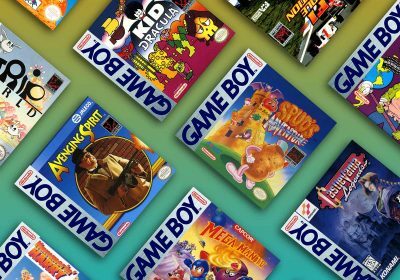 Nintendo’s Virtual Console also has many of the classic N64 games available for legal download. However, due to licensing issues, many of the most popular N64 games developed by Rare are not available on the service. The N64 is not very expensive to buy, with consoles typically going for $30-$50 on eBay, depending on accessories. Rare accessories, such as the Japan only 64DD, are extremely expensive and are only for deep pocketed collectors. Very interesting article. Well done to all those who put it together. I was always confused as to what the “Expansion Pak” was doing. Nintendo didn’t really explain it well at the time, and not everyone had internet to go find out. I didn’t see a visible difference in games I played… maybe that’s because I wasn’t concerned about graphics back then. I think the 64 was a great system, but I didn’t find a ton of games worth playing. My favorites are probably your favorites – Goldeneye, Duke, WCW games, San Francisco Rush games. My friend had Battletanx or something like that. Nothing like driving tanx at 3 mph shooting at each other. A couple years into it’s lifecycle (By my memory) I got the Playstation 1 as a supplement to the 64, and it really ended up replacing it. I think, oddly enough, WWF War Zone was the game that sold me on the system. Maybe not so much for the control, but for the Create a Wrestler… I had a ton of fun with that. Once I got the PS1 I didn’t want to play the 64 anymore. It’s pretty much the same way today… with Wii and PS3, the choice of which to play is pretty obvious, even though I have both. Some things never change. I love the N64, it really is my favourite console. I live in the UK and I have imported an American one for full speed games and I love it so much. I wish it supported RGB (without a difficult modifcation anyway) but s-video is nice and sharp on my HDTV. It’s a shame a lot of the graphics were fuzzy, and that the frame rate is only good at best in many games! If anyone hasn’t got an N64 it really is worthwhile picking one up. There seems to be a lot more good – fantastic games compared with other consoles! Good article, but not entirely accurate. 64mb was not the maximum amount of storage for a cart. Really? I’ve never heard of any of these issues, especially when compared to Playstation and Xbox systems. What then is the most amount of storage a cart could hold. From the research I did, I found most places saying that Resident Evil 2 had the largest cart, at 512 Mbit (64 MB). If you have any evidence that a larger cart existed, then please let us know so we can update the article. Gotta make it factual! I’ve removed the part about overheating and such since it doesn’t seem to be a widespread issue. I just took that comment from the forum. Technically, I don’t think there was a limit, but the larger the cart got the more expensive it was to produce. However, even by the end of the n64’s life cycle, a 512 Mbit cart was the largest size that was economically viable. Yeah, the control stick lets it down a lot- it wears out very quickly, even with care. i used to play it at friend’s houses, and i got one recently. The console is still amazing today! Its cartridge, yet the graphcis are great , the games are long , fun, and very entertaining up to this day. I am amazed at its power. today this sounds cool, back in ’96 , it must have sounded OUT OF THIS WORLD!! i do agree psx had better game library, but with the 64 think of it this way: it might be few good games, but given the quality of it, it give you a good bang for you $60 making sure not buying a piece of crap, and the long hold in between good games give you time to enjoy the game and experience it. from what I see today, games are sold faster than they are made….call of dutty had 3 games for 360 in 3 years!? and a fifth one is comming. So there was an advantage side to it. It was hard supporting the N64. Too much “similar” games. Too much ok games. At least I haven’t played yet something that made me happier than Ocarina of the Time. Wonderful memories of that game. i never did like the n64. nintendo was trying too hard, it was over-engineered on certain parts (gamepad, cpu speed)and under on other parts (cartridges, gpu) this is NOT a well balanced machine i would say! they tried to make this the killer machine and in the end got a bit confused about what exactly makes it better than the competition, in the end it was a pretty mediocre experience to me. Hey, I contributed to the information here, didn’t I? That’s awesome, I’ve always wanted to help with one of these. the n64 is still my favorite console to date. the controllers were awesome (i have two from launch day that still work flawlessly), it used cartridges, and had some seriously awesome replay value on many of its games. I’d have to disagree about the controllers wearing out. I have my original controllers from way back when and they work fine up to day. I also have a few other controllers I got from a friend, who doesn’t take care of his belongings, and they work fine too. Also, I don’t think its fare to always bash Nintendo for using carts. They had a tough choice to make, and they made it for US. Sure, they could have used CDs, the console could have made them more money that way. But thats not what Nintendo is about. They decided to stick with carts for the sole purpose of benefiting the players, us. I thank Nintendo for that. I’m not one to care about which system has the better graphics, good games are good games and you can’t touch Mario 64, Goldeneye, Star Fox, Zelda, ect. Great console…great controller…great games (mainly the games from Nintendo and Rare). -the expansion pak was shipped with Donkey Kong 64 and is required to play the game. -The N64 carts size vary from 4MB to 64MB (the 64 MB carts are:Pokemon Stadium 2, Resident Evil 2, Paper Mario (only the european cart) and Conker’s Bad Fur Day. The N64 is great classic game console,albeit flawed by outlandish software/accessory prices,lackluster 3rd Party support,Bulky analog controllers,Battery-powered rumble packs and audio/video limitations associated with cartridged-based systems.In exchange,you have a game console that’s not plagued by overheating,long load times,better graphics(of course,there’s the matter of the bulky polygons)and a better multi-player set-up. It’s the expansion port where the dd64 thing plugs in, barely ever used!